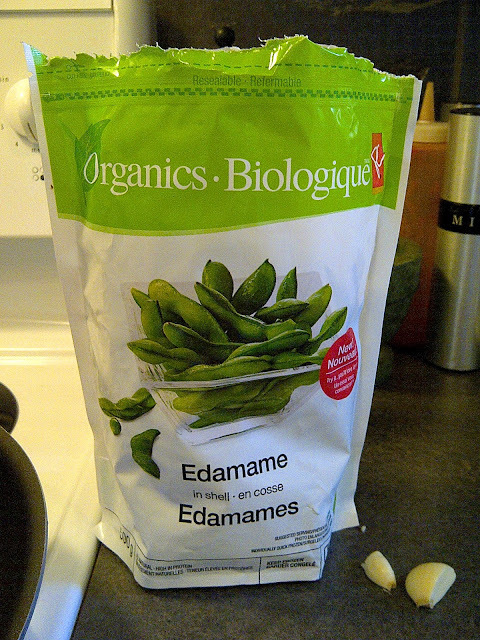 If you are going to buy soy products, please consider choosing organic and/or GMO-FREE. Soy is one of the worst GMO altered foods; The Top 5 worst altered foods: Corn, Soy, Sugar, Aspartame, and Canola Oil. Genetically Modifying Food, in my opinion is unnatural. Sure, there may be few exceptions...but do we really need (or want) pesticides spliced into the DNA of plants? At the very least, shouldn't we have the right to know if what we are buying and eating has been altered? In my house we have to read labels to avoid death!! Seriously, if S ingests a peanut....let's not even go there. So if scientists decide to add peanut DNA into other plants, for what ever reason, can they guarantee it won't be harmful to him if ingested? Or, if you avoid certain foods, for your own belief-systems, and you are eating GMO foods that might have animal DNA in them....is that okay? Guess what? THEY CAN, & DO, THIS WITHOUT HAVING TO DISCLOSE IT!! Trying to keep abreast of the current legislation battle against Monsanto (the Mother EFF of all things GMO) is maddening. They have so much more money, lobbyists, and power over our nation's food supply than they should. They produce seeds, hold strict patterns on "their" crops....if a farmer is growing non-Monsanto GMO-free crops, and they happen to inadvertently cross pollinate with Monsanto GMO crops, Monsanto can/will/and has sue(d) the farmer for patten right infringements. Oh yeah! The wind carrying their GMO pollen, mixes with other crops producing a GMO plant, in which they hold a patten on, and they will sue you....or you can pay them a hefty "license fee" for growing their seeds without their permission. Also, Monsanto seeds are not open pollination seeds - meaning the seeds CANNOT be saved (grown for seed, for the following year), you have to purchase seeds for a new crop - every year - making farmers heavily dependant on them. Sadly, lab coat-wearing-scientists engineering our food could replace the idyllic overalls-wearing-farmer. In a schoolyard, Monsanto is the bully stealing our lunch money. Stand up to the bully - read labels, choose organic & GMO free, support you local organic farmers. Am I an expert on this matter? NO; these are just my opinions and beliefs....opinions are just like noses - everybody has got one, some bigger than others. Thanks for staying with me and reading!! Please visit my Linky Page to see where have shared this post. Saw your post on Fluster's Creative Muster this week - thanks for sharing! Thank you for all of the information. We try to read labels too, but I was unaware of the GMO altered foods. Thanks for sharing on Fluster's Creative Muster Party.